Hegarty’s Corner opened for business in April 2018. It is the aim of Hegarty’s Corner to offer friendly, modern and comfortable accommodation chiefly to small groups of adults on self-organised, activity based short-breaks, on the Causeway Coast, Northern Ireland e.g. Bikers; Cyclists; Golfers; Walkers; Anglers; Water Sport enthusiasts to name a few …..
We also welcome adults who are either touring, visiting or in the area for an event/occasion and seeking accommodation for one or more nights. Our facilities include ample parking; secure parking for motorbikes and cycles; basic tool kit; washing area for bikes; drying area for kit/equipment/clothing. Our prime location places you within an easy, short time/distance of – eastwards, to the Causeway Coast and it’s attractions; to the south, the Sperrins and to the west, Donegal and beyond. E.g. we can recommend the best roads, routes, rivers, golf courses, back-up services, cafes, food & drink, places to visit and more. Nova and myself are both from Yorkshire, more specifically, born and bred in the small market town of Penistone. We moved just after we got together to Halifax and had 30 plus happy years there. Nova, in past incarnations amongst others was: a Judo Coach; a House Mother at a Children’s Home; a Lifeguard and Swimming and Badminton Coach at a local Sports Centre. She has two married daughters: Jeanette, living in Carrickfergus and Lorraine, in New Zealand; several grandchildren and to date a couple of great-grandchildren. I, after leaving school had a couple of jobs before I became a Lifeguard and Squash Coach at said Sports Centre. I then became a Professional Squash Coach which is what took us to Halifax. After 15 years as a Club Professional with Nova running the club shop and stringing rackets, we were offered a business opportunity. For the next 10 or more years we had a Financial Services business and a Pawnbrokers & Jewellers. "We will try as hard as we possibly can to help you get the very best from your break, by offering advice and assistance wherever possible." We were made an offer for that business which we accepted and for the next 10 years combined an amount of travel (mostly around Europe on a motorcycle) with me doing a couple of days per week paper shuffling for an Optician friend (one of those ‘you should’ve gone to!’). For two or three years we wondered what we wanted to do next. 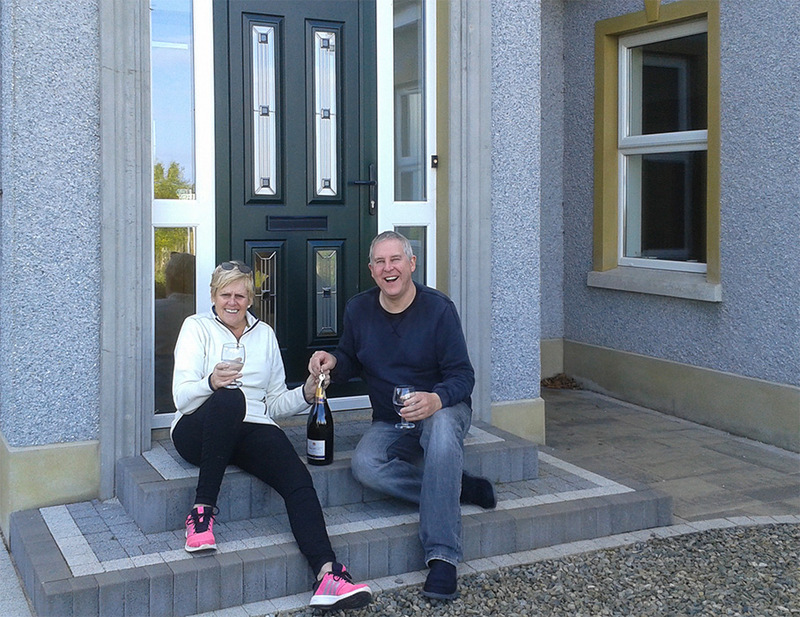 We were looking for a lifestyle change and after visiting Northern Ireland on many occasions decided to chance our arm at running a B&B finally landing in Castlerock in October 2017.